Plot: A convent girl is kidnapped by a Prince, beaten by his fiancee (the Queen) and then sent off to a brothel in East Africa. Queen Kelly, the biggest debacle of Swanson's career, is now seen as a masterpiece. The film was financed by Joe Kennedy with whom Swanson was having an affair. 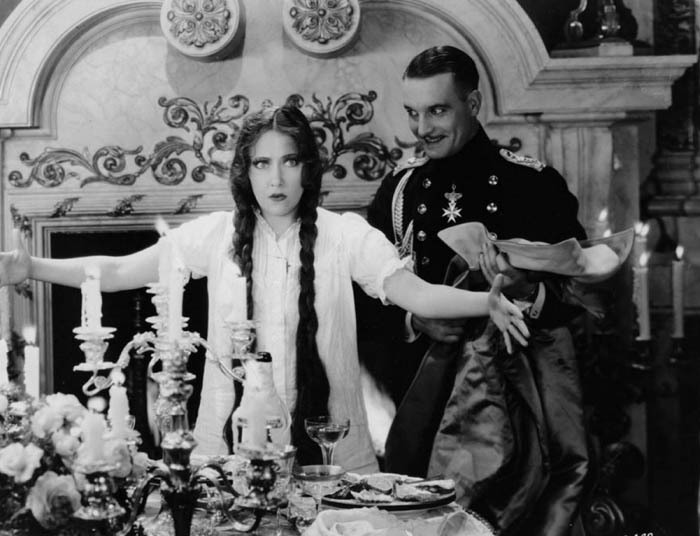 They both wanted a special project for their first collaboration together and they both were impressed by Erich Von Stroheim, the brilliant Vienesse director who had made Greed and The Wedding March. A meeting with Von Stroheim resulted in a mutual admiration society and he told Swanson and Kennedy about an original story that had had written called The Swamp. Both Kennedy and Swanson were impressed and agreed to green light the project even though both were aware of Von Stroheim excessive and painstaking habits while filming. 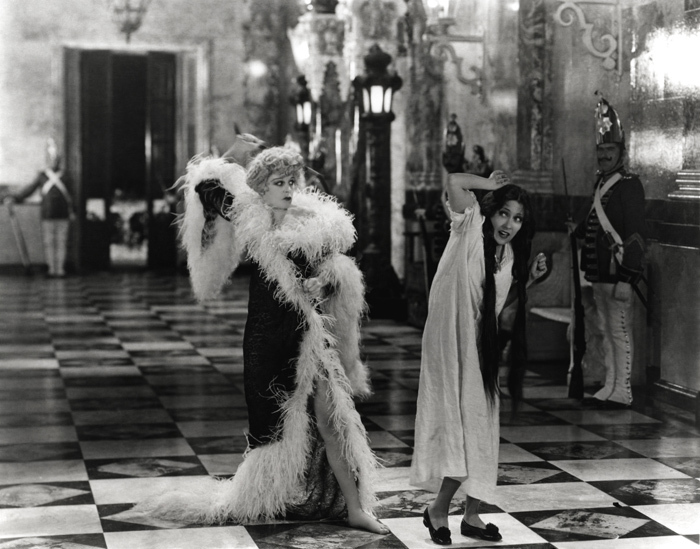 Elaborate sets were constructed and filming began in November of 1928. The title was changed to Queen Kelly because everyone involved felt that The Swamp (except Von Stroheim) was a downer of a title. Von Stroheim was a meticulous director and he would shoot thousands of feet of film and redo scenes over and over again until he felt that they were perfect. Swanson was worried about this from the very beginning but since Kennedy was not concerned, she let it slide. Filming progressed through December and January until it came time for the African sequences. It was already clear that the project would not be completed for several months because the production was going at a snails pace. Swanson was growing more concerned each day and finally one morning, when Von Stroheim was instructing actor Tully Marshall how to dribble tobacco juice on her hand while he was kissing it, she stormed off the set and called Kennedy and demanded that the project be stopped. Queen Kelly was not completed although there were several plans to salvage it. An edited version was released in foreign countries in the early 1930s. A scene from the film was used in Sunset Boulevard which also starred Von Stroheim (they had reconciled their differences by then). In the mid 1980s, Queen Kelly was restored for video and subtitles and stills were used to complete the story. It is a compelling film with stunning photography and sets and is an obvious masterpiece of filmmaking.